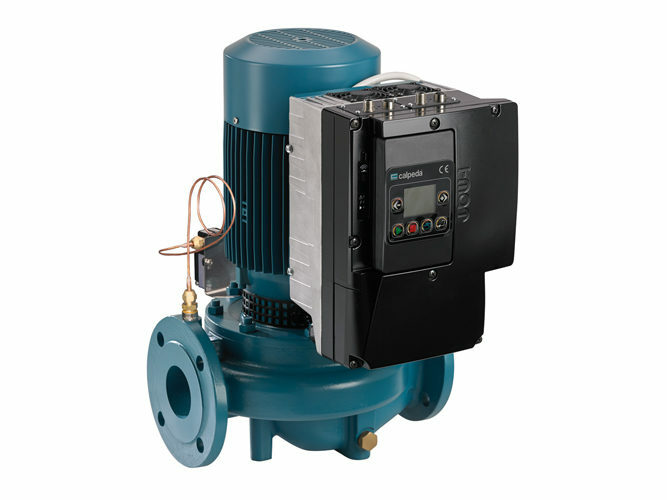 Europump’s challenge, that of blending product performance with energy saving, has been obtaining tangible results, also thanks to the technical support given by pump manufacturers to the energy policies of the European Commission. The JWG (Joint Working Group), which deals with pump and group efficiency and which Calpeda participates in actively, met on 4 and 5 September in Frankfurt to review the objectives that had been reached and on the work to be continued over the next few months. After working hard on identification of the calculation methods and components to be assessed, so as to reach common parameters and a general method for standardization, the first two definitive standards were formed. These standards define the methods for qualifying and verifying the Energy Efficiency Index (EEI) for centrifugal and multistage pumps; EN 17038-1 indicates the general requirements and EN 17038-2 the test methods for centrifugal pump e multistage pump. EN 17038-3, which refers to booster sets, is also on the way to being approved. The EN 17038-4 and EN 17038-5 standards on submersible pumps and drainage pumps are, instead, still being studied. Having published these definitive standards means that a method for calculating and verifying the efficiency indexes can be given to the Consultation Forum for Sustainable Energy, on the basis of which the efficiency limit will be established, and EC Regulation 547/2012 that establishes the specifications for eco-friendly design of pumps for water consequentially updated. The approach that Europump, and more specifically JWG, is taking to reach the requirements of pump eco-design, is EPA (Extended Product Approach). It is a method for calculating the Energy Efficiency Index (EEI) that considers the product in its entirety: pump, motor, and possible frequency converter. It was seen, in fact, that considering the behaviour of all the components and the different load profiles makes it possible to save a notable amount of energy, taking us even closer to the objectives of reductions in the emission of CO2 set by the European Union. During the meeting in Frankfurt, an interesting study by Prof. Armando Caravetta from the Università degli Studi di Napoli Federico II was presented on the use of inverters with motor pumps, and how important it is to gauge them when on the machine, in order to take full advantage of their effectiveness.